﻿ FATECH TRIUMPHANT RETURN FROM ELECRAMA INDIA 2018 - Comany News - Fatech Electronic CO., LTD.
Mar. 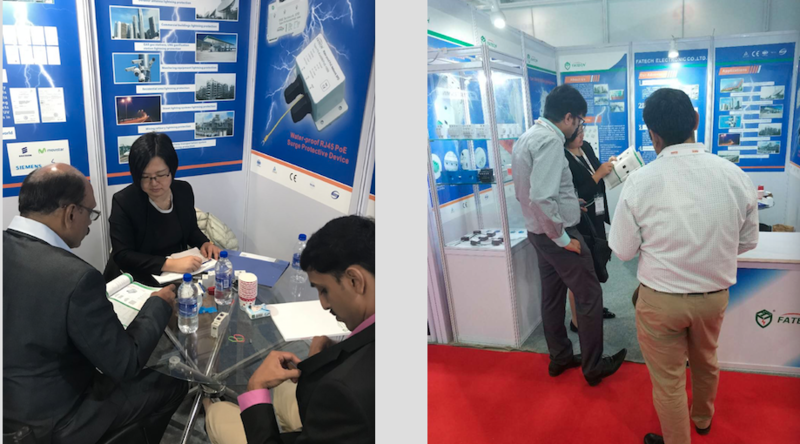 10-14, 2018, Fatech electronic(Foshan) Co., Ltd. attended ELECRAMA 2018 in New Dehli, India again and successful. Firstly, we introduced our new products - LED street light surge protection module, and lightning counter with reset function into India market. Secondly, we met with several main distributors / agents / partners in India market, and have a depth and fruitful discussion with them. Thirdly, we visited several customers company and signed important contract for next years. We gathered more important market new requirement, and several new products will be R&D.